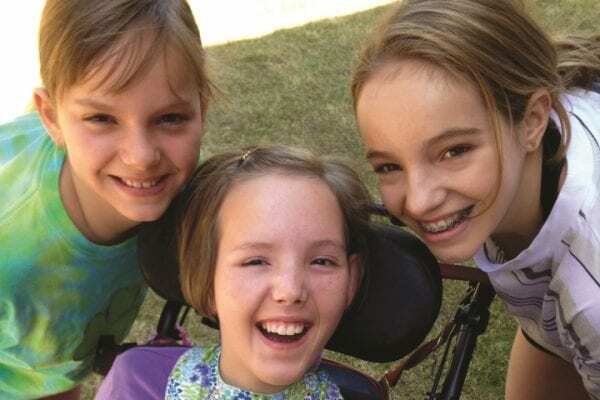 16 year-old Canuck Place sibling Emily Epp of Kelowna is preparing to swim the English Channel this July in support of Canuck Place and in honour of her younger sister, Elan. Inspired by her sister’s courage and her coach Brent Hobbs, who swam the channel in 2008, Emily will be one of the youngest individuals to complete the 40 km swim. Emily’s sister Elan had been suffering for years with severe pain, vomiting 15-20 times a day. After being admitted to Canuck Place in 2012 the whole family’s life changed. Their mother Cheryl recalls the impact Canuck Place care had from early on. Now Elan loves music and being around people, especially other children. She gets really excited when others interact with her and she will laugh at almost anything. Canuck Place medical respite care and pain and symptom management changes lives. Not only does it provide comfort and relief for a suffering child but it also benefits the family who loves them. Emily wants to raise $4,000 for Canuck Place, to support complex care for children just like her sister. You can support Emily’s “Eppic” Swim by donating to her fundraising page.